SARIEV Contemporary has the great pleasure to announce that the artist Martina Vacheva is officially joining the list of the gallery's represented artists. 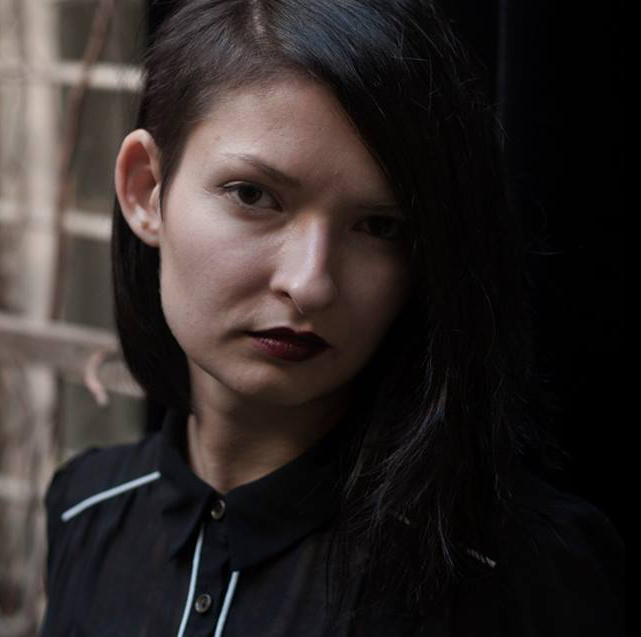 She is 30 years old and is Sariev's youngest author, and the first to live and work in Plovdiv. This accession is a natural process in the development of SARIEV Contemporary's relationship with the author and her work with its founders Vesselina and Katrin Sarievi. These are both gallery projects and projects of the founded by Sarievi Artnewscafe. The collaboration started in 2015 – a period in which Martina Vacheva was creating printed art books. Then, by invitation from Sariev, Artnewscafe held "SERIAL PORTRAITS" – a series of three exhibitions with portrait illustration of Vacheva from her printed art books, and in the frame of the festival NIGHT / Plovdiv 2015, the artist participated with the exhibition "Best of Serial Portraits", again at Artnewscafe. Recognizing her potential, she was invited in 2016 by SARIEV Contemporary for a solo show in the frames of the long-standing project of the gallery “Background: Young Artists“, which aims to present and support young Bulgarian artists and curators. The show was called “Sereality” and was curated by Vera Mlechevska. After the success of “Sereality” Martina was invited to participate in curatorial exhibitions and projects such as “My Dear Provincialist” curated by Victoria Draganova, Swimming Pool, Sofia (2017), “Art start: Young artists to Follow in 2017” curated by Vessela Nozharova, Stefka Tsaneva, Daniela Radeva, Credo Bonum Gallery, Sofia (2017). In 2017 she was among the artists selected for participation in the Exhibition of nominees for the BAZA Award for contemporary art, Sofia City Art Gallery, and won the award – participation in Residency Unlimited, NY, and a solo show at the Institute of Contemporary Art – Sofia which is forthcoming. 2017 was especially productive for Vacheva. Besides participating in numerous exhibitions, she started creating ceramics in her studio in Brittany (France) and at the end of the year she paerticipated with a site-specific drawing in the second edition of the “Let Them Draw” group show at SARIEV Contemporary, curated by Pravdolub Ivanov. In 2018, works by Vacheva were included in the group show “Baywatch” curated by Natalie Hoyos and Rainald Schumacher, featuring selected young Eastern European artists, organized on the occasion of the opening of Kunstverein Ost (KVOST), Berlin during Gallery Weekend. This year works by Vacheva were included in Art Collection Telekom, the Metropolitan Museum Library Collection, New York and Gaudenz B. Ruf collection, Zurich and Vienna. On 9 November 2018, in SARIEV Contemporary was opened the second solo show by Martina Vacheva – “Mud“, specially created for the gallery and including new works – ceramics, exploring images of forgotten Bulgarian folk tales and legends, made in her atelier in France. The exhibition can be viewed until 30 December 2018. Currently, Vacheva also participates in the group show "Immersion – Background: Young Artists from Plovdiv" (1 - 25 November 2018) at the Bulgarian Embassy in Helsinki, Finland. It is part of SARIEV Contemporary's project "Background: Young Artists", curated by Vera Mlechevska, and the other participants are the young artists Valko Chobanov and Dimitar Shopov. In 2019, Martina Vacheva will participate in the 33rd Biennial of Graphic Arts in Ljubljana, Slovenia, which will be curated by Slavs and Tatars, as well as in “Listen to Us – Artistic Intelligence (exhibition of Deutsche Telekom – Art Collection Telekom)”, curated by Nathalie Hoyos and Rainald Schumacher – part of the official program of Plovdiv 2019 – European Capital of Culture. SARIEV Contemporary’s list of artists, which Martina Vacheva is joining, represents a broad view of different generations of artists and art movements. The gallery works with professional artists who have international careers, and who belong to a wider European artistic scene - well-established figures such as Nedko Solakov, Pravdoliub Ivanov, Stefan Nikolaev, Luchezar Boyadjiev, as well as younger artists Kamen Stoyanov, Rada Boukova and Valio Tchenkov. The gallery also supports the development of the next generation of artists such as Lubri, Voin de Voin and Vikenti Komitski. Martina Vacheva is born 1988 in Plovdiv. She lives and works in Plovdiv and Brittany, West France. Martina graduated from the National Academy of Arts in Sofia, majoring in Illustration and Book and Print Graphics, in 2012 she specialized in the illustrator’s class of Georg Barber (ATAK) at the Burg Giebichenstein University of Art and Design Halle, Germany. In 2016, SARIEV Contemporary with the curator Vera Mlechevska presented her first solo show “Sereality" as part of the gallery’s BACKGROUND: Young Artists 2016 exhibition. After the success of the show her works have been exhibited in many curatorial exhibitions and projects such as: “Lifestyles and Still Life” curated by Vera Mlechevska, Lubomirov/Angus-Hughes, London, (2016); Exhibition of nominees for the BAZA Award for contemporary art, Sofia City Art Gallery (2017); “The Image is no Longer Available” curated by Vesela Nozharova, Credo Bonum Gallery, Sofia (2017); “My Dear Provincialist” curated by Victoria Draganova, Swimming Pool, Sofia (2017); “Let Them Draw II (Drawing and Withdrawing)” group show - drawings, curated by Pravdoliub Ivanov at SARIEV Contemporary (2017); “Art start: Young artists to Follow in 2017” curated by Vessela Nozharova, Stefka Tsaneva, Daniela Radeva, Credo Bonum Gallery, Sofia (2017); "Baywatch" curated by Nathalie Hoyos and Rainald Schumacher, KVOST, Berlin (2018); "Dias de Romance" curated by Carmen Ferreyra, Centro Cultural Recoleta, Buenos Aires, Argentina (2018); "Schock und Schrecken" curated by Stefka Tsaneva, Goethe-Institut Bulgarien, Sofia (2018) and others. Martina Vacheva is the 2017 BAZA / Young Visual Artists Awards winner - a prize attributed by the Sofia City Art Gallery and Institute of Contemporary Art – Sofia.